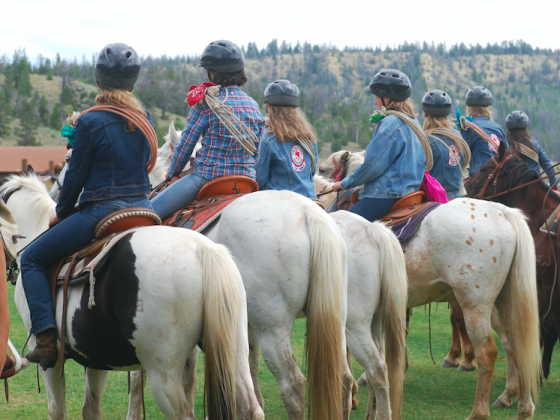 More than a motto – a way of life, “Ready to Ride!” represents a mindset and values that everyone at Teton Valley Ranch Camp shares. The program is divided into five unique adventure groups that encourage progressive attendance starting with 11 year olds in our Yearling group and growing to 16 year old Trail Blazers. Each adventure group builds on the previous; teaching a variety of skills with the ability for campers to focus on specific areas of interest including backpacking, horseback riding and fly fishing. 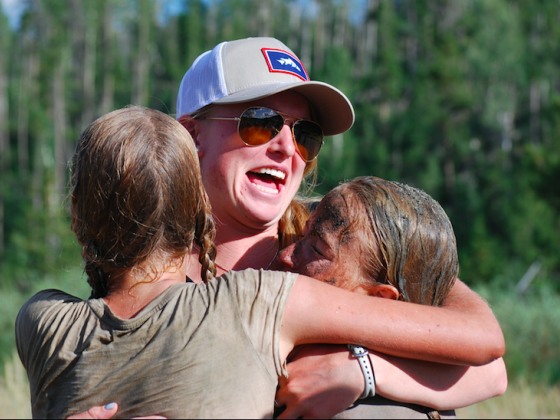 In addition to in-camp activities what sets Teton Valley Ranch Camp apart is our robust backcountry trips program. 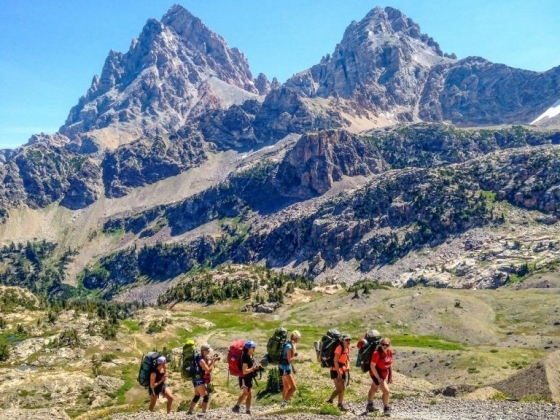 Both backpacking and horseback trips taking place all over the Greater Yellowstone Ecosystem, Western Wyoming and Grand Teton National Park. We are honored to carry some of the longest running permits for use in the region. 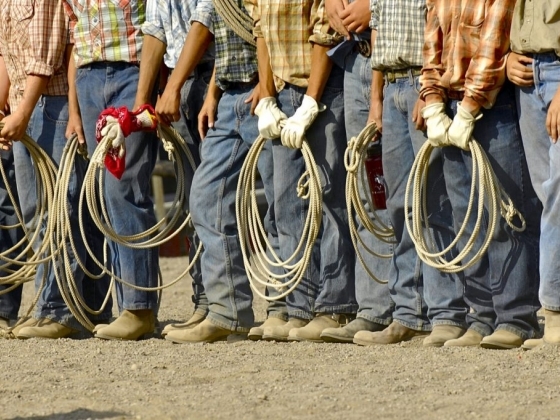 The camp was founded in 1939 in the heart of Jackson Hole. 61 years later a group of committed alumni came together in a newly formed Education Foundation to ensure the legacy of camp lives on. 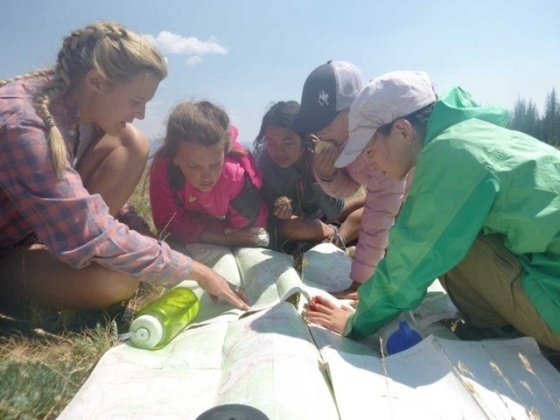 Now located just outside Jackson Hole on over 2,300 acres of land which provide bountiful opportunities for exploration, growth and adventures for our campers. TVRC offers a wide array of both in and out of camp activities. 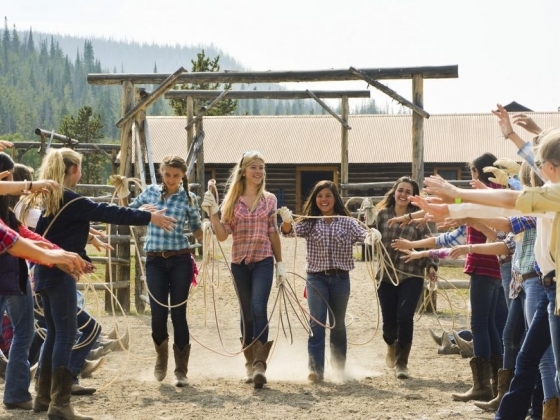 In-camp activities include Horsemanship and Rodeo classes, Lapidary, Craft Shop, Archery, Riflery and Discovery which teaches local history and ecology of the region. 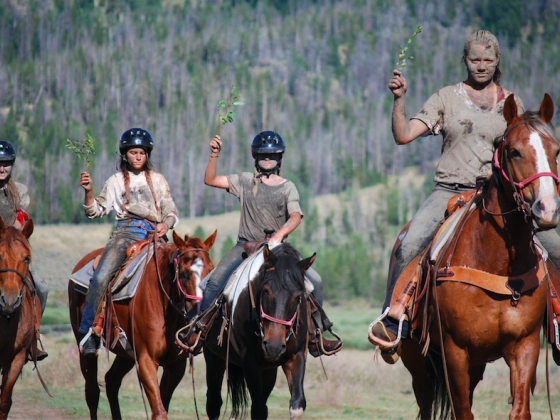 We also offer 1/2-day and full-day hikes and trail rides in the Greater Yellowstone Ecosystem and on-location at the ranch which is comprised of over 2,300 acres of beautiful forest, meadows and buttes that are emblematic of the Wyoming countryside. Our backcountry experiences range from 3-day backpacks for our younger campers to 5-day trips that our Trail Blazers are responsible for planning the route, meals and packing gear. All while over-seen by experienced trip leaders. Each camper will also go on a backcountry horseback trip which will include two full days of trail riding through the backcountry, a full day hike while out on the trail and the potential for fishing depending on the location of the trip. The program that TVRC offers was developed with campers at the heart of it. Creating an experience that encourages children to take on adventure, grow in their self-confidence and independence and learn both hard and soft skills that will support them in life.